Based on Gummy Candy!!!! 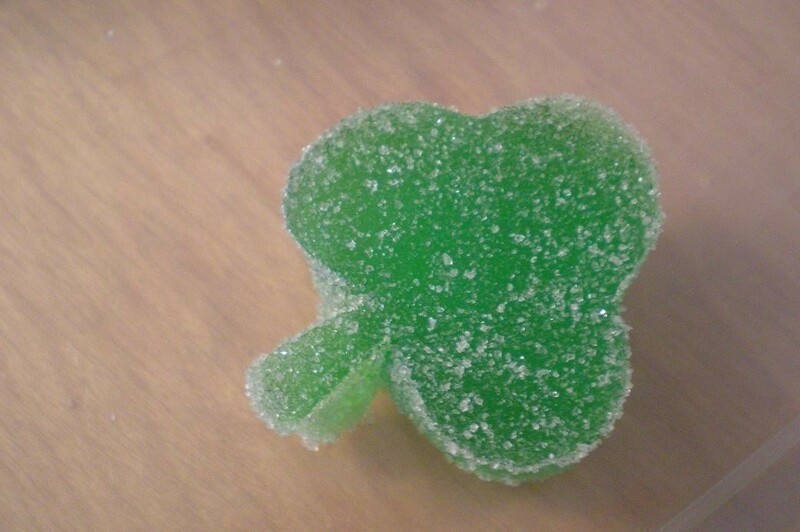 by gabriela g.
St. Patrick's Day gummies made with lime flavored gelatin and cut out with a clover/club cookie cutter. Not sure, but I would imagine it would take a decent amount of experimenting to get the ratio right. Flavored gelatin has sugar in it and isn't 100% gelatin. I'm really not sure. I dont have unflaverd jello, Does two flavers of jello work too?